For one week, the Developer Week in Nuremberg is the meeting place for software developers from a wide variety of subject areas. Companies therefore have the opportunity to present their innovations to the entire spectrum of the developer world. In addition the DWX is ideally suited to make new business contacts. Here you will find a list of this year’s exhibitors and sponsors. Are you interested in the Developer Week as a potential exhibitor? 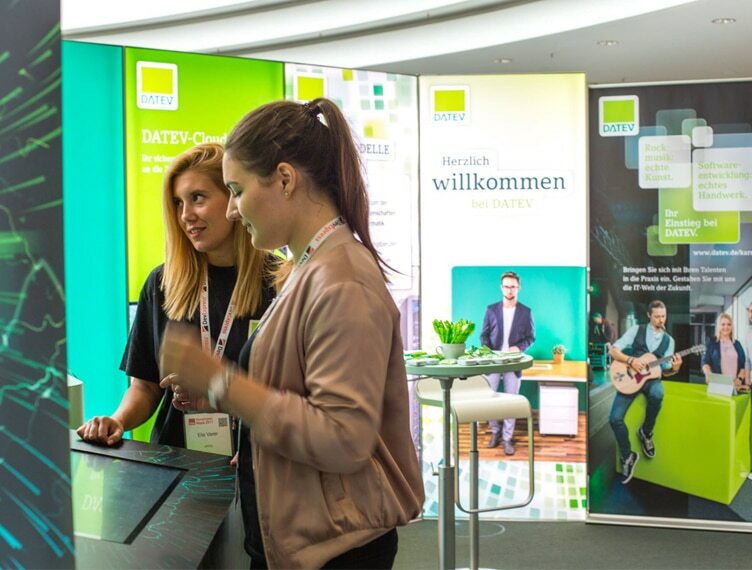 From infopoint to bronze stand to platinum package, all stand sizes fits into the exhibition and offer you individual scope for creative design.